Many an inspiring story is heard about budding entrepreneurs but not many of them do possess the courage and grit to succeed in the very field which almost made them bankrupt. A live personification of determination, passion and foresight – Mr. Sandeep Kansal is the man behind the success story of the Passion Group which is a congregation of nine companies. With over 25 years of market experience, he is veteran in the field of stocks and can pre-empt and forecast the happenings of the stock market. Owing to the rising inflationary economical state of the country, Sandeep acknowledged the fact that people yearned for any alternative source of income. With this in view, he envisaged the Passion Group with an aim to consult customers to channelize their earnings or funds in such a way so as to earn the maximum return out of it. He does not only believe in providing customers with their personified product offerings but also aims to extend their services and rise up the value chain. The high quotient of values and ethics which is instilled in Sandeep, helps airing an atmosphere of transparency and honesty in the Group which goes a long way in ensuring high level of respect and trust on behalf of customers. Being an extremely seasoned motivator and a people manager, he aims to take the Passion Group to greater and sustainable heights. The Group has already grown manifold under his able leadership and he aims to make it one of the biggest and the most respected brokerage firm in the financial services sector. The life story of Sandeep provides a motivational case study for young entrepreneurs and other professionals to imbibe. The case re-iterates and stresses on the fact that failures are indeed stepping stones to success. “Don’t put all your eggs in one basket” – is the motto behind the upsurge of the Passion Group. 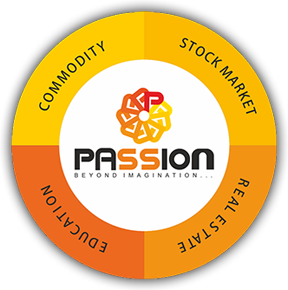 Owing to the unstable economic conditions of the country, the Passion group aims to provide economic security to the customers and in a way, provide an alternative source of income. Many a time, salaried employees do not possess the financial know-how to leverage their savings in order to get the maximum returns. The Passion Group knows it all. From its humble beginning as a sub broker, it is currently one of the most formidable players in the stock exchange market. Customers have the leeway to channelize their funds in the National Stock Exchange (NSE), Bombay Stock Exchange (BSE), MCX, NCDEX and many more. The Passion Group also provides best in class consulting facilities to its customers. We have a full fledged research centre where in veterans of the stock markets perform statistical and econometric analysis of the latest trends in the stock markets. This wing is primarily focused on consulting clients with practical stock market advice and other equity market tips. Customers are constantly updated with the current market trends – bullish or bearish, hot stocks and IPO releases. Customers can also opt for best in class practical training by experts in the industry. All the noble efforts made by the Group have reaped huge dividends which is evident in their growth story. Currently it boasts of clientele strength of more than 200,000 with an above 90% satisfaction rate by clients. So, the message to our dearest customer, “Give your savings to us, and we would ensure an alternate source of income”. A strategy without implementation is as good as day-dreaming. It is the operations which provide the rudder to the ship. No matter how massive the ship is, it cannot achieve any direction without the use of a rudder. This metaphorically explains or highlights the importance of Mr. Prashant Kansal who is the operational head of the Passion Group. Right from the humble inception of the Group as a sub broker to its current success as being one of the trusted firms in the financial sector, Prashant was instrumental in looking after all the departments and services of the Passion Group. Having the same pedigree as that of his able brother Sandeep, the duo has based their enterprise on honesty, integrity and transparency. He is a doer – one who believes in on-field implementations of strategy and tactics to gain market share. Being a charismatic leader and a motivator, he leads, by example, a team of extremely motivated and adept professionals who understands the minute nitty gritty of the financial sector of the country. He is a visionary who envisioned the growth story of the Group and through his sustained and true efforts, have surpassed expectations. The Group experienced an inorganic growth of more than 1100% in the financial year 2015. It is a result of his hard work, determination and integrity that customers rates the services of the Group extremely high, and lays complete trust in their expertise and operations. This is clearly evident in the fact that more than 2 lakh customers have entrusted their money in the Group. “Honesty is the best policy” – is a clichéd saying in the traditional era. Now, with a plethora of crisis and crashes that have plagued the world over and over again, customers take an extremely cautious and skeptic stance before channelizing or entrusting upon their monetary resources on some third party services. In the financial sector, TRUST is a major weapon by which a firm can tap a sizeable market. Inorganic efficiency or shrewdness is always myopic in nature. With this foresight, the Group is rooted on policies of ethics and transparency. 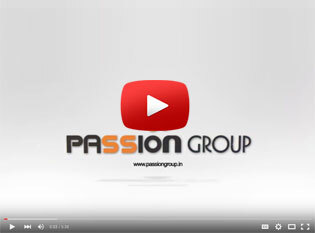 In the quest to take the Passion Group to newer heights, the Group has tailored excellent customizations in its service offerings such that we have a ready-made offering for every customer irrespective of his demography. 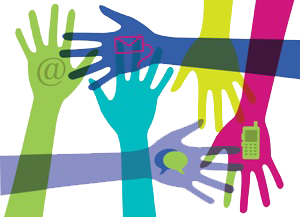 The Group has access to the best in class talent pool which is pivotal to their success. The aim is not only to be an above par trading company where in customers can trade in NSE, BSE, MCX, NCDEX and other commodity and derivatives markets but also be a consulting firm providing rich and authentic information on the latest trends in the stock market, in depth analysis of different portfolios and industry sectors and other information on IPO launches. With this in view and in an attempt to raise their level of association with customers, we have incorporated training and research centers where in eminent educationalists and practitioners are hired, who provide an in-depth analysis of the overall economic state of the nation. Customers are the highest priority. In order to ensure ease in accessibility and affordability, the Group charges the lowest brokerage fees in share market investment. Customers are guided to the entire process starting from opening their free online demat account to analyzing and zeroing on the portfolio where the customer wants to invest. Customers are also provided training on the market sentiments and the signs to gauge the bullish or bearish nature of the market.